The B.E.S.T (Bio-Electric Stimulating Technique) unit is a natural health device that can help your body strengthen and balance itself. The BEST energy spa charges the water and the water (which your feet soak in) charges your body. Once the body receives the energy, the body starts detoxing on its own. 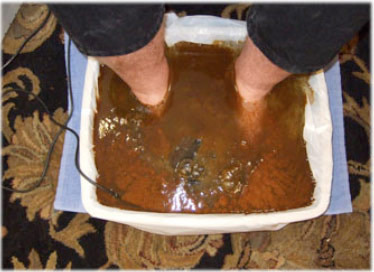 This detox may occur through the feet while in the energy spa and/or through the urinary system, bowels, and skin. **It is important to drink plenty of water after a session to help flush out the toxins that may be released.